12/31/00 - David Eugene Coomes, 52, killed when shot in his chest, shoulders, abdomen, arm, back, ear and head by Harris County sheriff’s deputies Murray Jerome Campbell and Milton Floyd Coker, who had responded to a disturbance call. Coomes was sitting in his driveway holding a shotgun when deputies arrived, who claim Coomes threatened them and pointed the gun at one of them. 12/31/00 - Jose Francisco Castilleja, h/m, 26, critically wounded when shot by Tomball PD officers Juan A. Moreno and Thomas Scott Collora. Castilleja had shot at a passing car, grazing the passenger. When officers responded and attempted to question him, they claim Castilleja pulled a pistol and fired at them. Neither of the officers was injured; Castilleja was shot at least once in the chest. 11/6/00 - David Allan Reeves, w/m, 30, wounded when shot by Houston PD officer W.R. Parker. Reeves had robbed a bank, and when officers tried to arrest him, attempted to drive away. Officers shot at the fleeing vehicle, which then crashed into some parked cars. Reeves was found to be shot. 11/5/00 - Paul C. Holcomb, 53, shot and killed by La Porte police officer Bob L. King. In a road-rage incident, Holcomb had shot at a motorist, who called police and followed Holcomb to his apartment complex. A 45-minute standoff ensued, with Holcomb staying at the window in his apartment. Police claim Holcomb was shot after he pointed a gun at an officer and cocked the hammer. King was no-billed. 10/27/00 - Juan Cabazos, wounded when shot by Harris County Pct. 1 deputy constable Matthew Francis Haynes. After stopping Cabazos for driving erratically, Haynes claims Cabazos put the car in reverse and sped toward him. Haynes shot through the rear window of his car, hitting Cabazos in the neck. w/m, 70, shot and killed by Harris County sheriff's deputy Geary Wayne Stephens. Whitehead, probably delusional, had confronted neighbors, thinking they were dealing drugs. The neighbors called police and deputy John Charles Risley responded. After 20 minutes Risley called for backup and was then shot and killed by Whitehead. When Stephens arrived he shot and killed Whitehead when Whitehead allegedly raised his shotgun toward him. Stephens was no-billed. 9/29/00 - Javier Carrasco, h/m, wounded when shot by Harris County sheriff's deputy Mario Guadalupe Quintanilla. Carrasco and another man had robbed a fast food restaurant, and crashed their car while being chased by deputies. Quintanilla alleges that Carrasco pointed a gun at him when he exited the car, then ran away. As Quintanilla chased him, he claims that Carrasco again turned and pointed a gun at him, so he shot him -- in the back. 4/29/00 - Quintanilla shoots Antoine Ford. 9/29/00 - Kevin Douglas Rue, 25, mentally ill, shot in the neck and abdomen and killed by HPD officer John C. Salazar, 37. Police claim Rue had assaulted his girlfriend and her mother, and "came running down toward (police) with knives in both hands raised in the air." A description of the knives was not given. 9/29/00 - Unidentified Hispanic man shot in the back by Harris County Deputy Sheriff M.G. Quintanilla, who had responded to a robbery call and stopped two unidentified Hispanic men in a stolen car. Police claim both men were armed and fled after crashing their car. During a foot chase, one of the men “pointed his weapon” at Quintanilla, who then shot him. 9/29/00 - John Starks, 28, shot at twice by HPD officer C.R. Hazlett, 42, who responded to a disturbance call. Hazlett said Starks walked toward him, made a movement with his hand, and he saw an object in Starks’ hand which he believed to be a gun. Starks was not injured. The “object” was not identified; there was no gun. 9/27/00 - John Patrick Birdsall, wounded when shot by Houston PD officer M.L. Scott, 41, who went to a homeless camp to talk to Birdsall after he created a disturbance at a grocery store. Officers claim he attached Scott with a lead pipe, and as the two fell down a concrete incline, Scott fired once, grazing Birdsall's arm. Officers then convinced him to put down the pipe. 9/3/00 - Enrique Sanchez Alarcon, h/m, wounded when shot by Harris County sheriff's deputy Raymond Vincent Campos, who was chasing Alarcon after he kidnapped and stabbled a woman. w/m, 30, shot and killed by Houston police homicide officers M. MacCammon and Richard Moreno, who were attempting to arrest Alexander for murder. When officers ordered Alexander out of his car, he "stepped out shooting." He was shot multiple times by the two officers. 8/11/00 - Noe Lopez, 33-year-old Hispanic male, shot several times and killed by Harris County Sheriff's deputies Edward Tillman Roberts, 43, Michael Eristus Sams, and Gary Slot during drug bust. Police report that undercover officers were to buy narcotics from Lopez and two companions, but as the third entered the motel room where deputy Eddie Roberts was waiting they began shooting at Roberts and a civilian man with him. Lopez then jumped from the second-floor balcony and exchanged gunfire with other deputies. Roberts was shot under the eye but has recovered. All the officers were no-billed. 7/26/00 - Adam Joseph Langston, w/m, 18, and Alcide J. Plumbar III, b/m, 26, wounded when shot by Houston PD officer Rosalie C. Headley (5-yr. veteran), who had stopped them for driving without headlights and found their van to be stolen. Plumbar (the passenger) got out of the van and began walking away, then Langston also left the van. Headley claims Langston "made an overt movement while turning," and she shot him in the buttocks. She then claims Plumbar came toward her, dropped his hands, turned away, then came toward her again, and she shot him in the shoulder. 6/2/00 - Victoria Rivera, 36, shot in the chest and killed by Pasadena police officer Charles Kevin Traxler, 37. Rivera was reported to be suicidal and armed with a gun; police claim she pointed the gun at Traxler, and he shot her. Traxler was no-billed. 5/21/00 - Damon Antonio Brown, b/m, 31, wounded when shot in the left leg by off-duty Harris County sheriff's deputy Trence Everett Hicks, who suspected Brown had stolen from the store where he was working security. Brown attempted to flee, and Hicks, claiming he thought Brown was armed, shot him from behind. Brown had no weapon. 5/15/00 - Jimmie Lee Smith, 52, and Taylor Johnson, shot by Houston PD officer Pedro Lopez Jr., h/m, and DEA agent Chad Scott during drug bust. Officers claim Smith and Johnson were crouched behind a couch, and Johnson pointed a gun at them. Both officers fired; Smith was shot in the leg and face, and Johnson was critically wounded when shot in the back. 5/10/00 - Milton Vasquez, wounded when shot in the shoulder by North Harris Montgomery Community College police officers Jess Law and Kirk Coker, who claimed Vasquez and 3 others were trying to steal a car. The officer and other security guards further claim the "getaway" car tried to run over one of them, and they fired into the vehicle, striking Vasquez. 5/1/00 - Roque Romero Bonilla, h/m, 32, wounded when shot in the neck and shoulder by Houston PD officer D.A. Thomas, 37 (16-yr. vet). Bonilla was chased by several officers for speeding but refused to pull. After stalling the car's engine, he got out and allegedly waved a pistol at the officers, and Thomas shot him. 4/29/00 - Antoine Ford, wounded when shot by Harris County sheriff's deputy Mario Guadalupe Quintanilla. Ford and a companion had robbed a fast-food restaurant. As they left, deputies ordered them to stop, but instead they fled. Quintanilla then shot Ford in the leg. 9/29/00 - Quintanilla shoots Javier Carrasco. 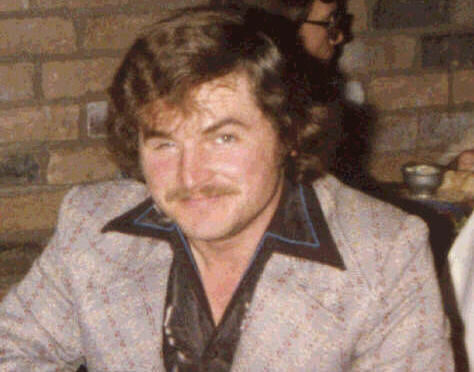 4/23/00 - Richard Leon Keohane, shot twice and killed by Harris County sheriff's deputy Sean Russell Conrad while "wandering" on the street with a pellet gun. Police say the pellet gun resembled a semi-automatic rifle and when he raised it, Conrad shot him. 6/12/02 - Conrad shoots and kills Daniel Damian Jr. and Carlos Alberto Ramirez during home invasion; fellow deputy Shane Ronald Bennett is also killed by Conrad's gunshot to the back of his head. 1989 - District attorney's records show a shooting leading to the injury of a civilian that involved Prendergast . There was no further information. 1981 - While still in the Police Academy, Prendergast was investigated for accidental discharge of a firearm. 4/19/00 - Sean Bob Reed, 27, wounded when shot once in the hip by off-duty Harris County sheriff's deputy Segary Virgil when Reed tried to rob a bank. 4/14/00 - Michael Wayne Johnson, b/m, 40, wounded when shot in the leg by off-duty Houston PD officer J.G. Chenier, 49 (14-yr. vet, Criminal Intelligence Division), who claimed that Johnson shot at him when he tried to break up an argument between Johnson and his wife. 4/10/00 - Ralph W. Webber, struggling with officers trying to arrest him at his home, is grazed by a bullet fired when Harris County sheriff's deputy James Eric Romine reholstered his gun. The bullet also went through the deputy's pants. 3/22/00 - Edwin Diaz, 34, shot and killed by Pasadena police officers William B. Dudley and Timothy Scott Moon when he walked toward one of the officers in a "threatening manner" with a hatchet outside his home. Police claim he had assaulted a woman - no details were reported. The officers were no-billed. 3/15/00 - Melvin James Moore Jr., unarmed, shot in the leg by Chambers County sheriff’s investigator Rod Yarborough after traffic stop. 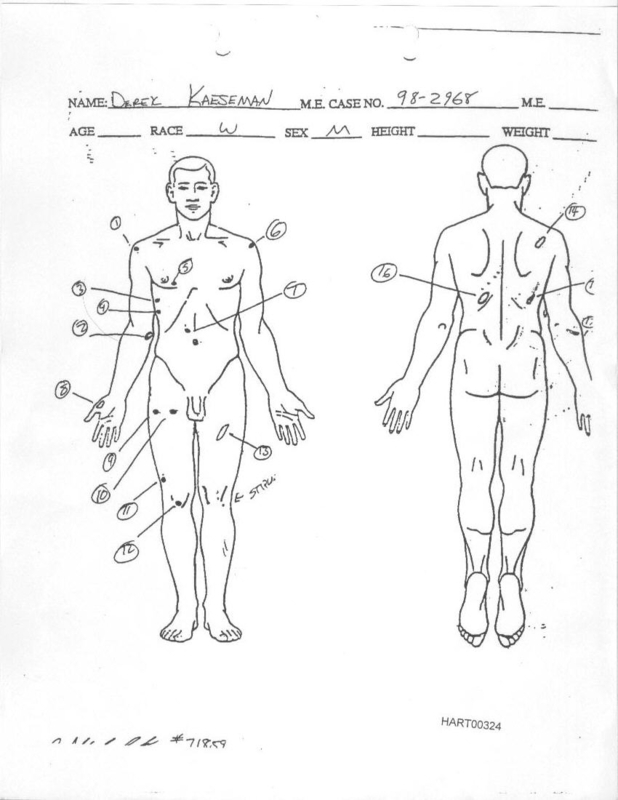 Yarborough claims Moore reached behind his back, so he shot him. 3/10/00 - Willie Emmanuel Guerrero, h/m, 19, wounded when shot by Houston PD officer Mark Z. Escamilla (2-yr. veteran) at a sports bar. The bar's manager had been beaten, and as Escamilla began taking statements from witnesses, he claims they tried to surround him. He retreated out the door, but claims Guerrero continued walking toward him and making threats. Escamilla then shot him in the left wrist and left thigh. wall" of his apartment. Grand jury declines to hear witnesses, no-bills Reutzel. The Mexican Consulate then asks for new investigation into shooting death of Santiago, accuses prosecutors of failing to uphold rights of immigrants "who are the victims of police violence in the Houston area." 3/3/00 - Tyson Demond Braxton, b/m, 18, wounded when shot by Houston PD officer Christopher L. Slater, who saw Braxton inside a bookstore wearing a ski mask and robbing the store. When Braxton came out, Slater claims he refused to drop his gun, pointing it instead at Slater, who then shot him in the stomach and upper leg. See also: 4/17/09 - Slater shoots Gerard Jonathan Barnett. 2/15/00 - Howard Lee Love, 29, shot in the chest and killed during a struggle with Houston PD officer Breck C. McDaniel, 27, not in uniform. McDaniel was attempting to arrest Love for domestic violence and possession. It is unknown whether Love was aware McDaniel was a police officer. McDanieal was no-billed. 1/31/00 - Jeffery Lynn Pruitt, w/m, 37 and mentally ill, shot in the ankle and buttocks by Houston PD officer Jimmy H. Higgins, 44 (Clear Lake patrol div., 19-yr. vet). Pruitt had threatened suicide and was sitting on a stool in his garage when Higgins arrived. Claiming Pruitt lunged at him with a knife, he shot him twice; Pruitt disputes the officer's account, saying he never threatened or lunged at Higgins. See also: 1998 - Higgins shoots Paul Uwanda. 12/16/99 - Monica Reshun Pruitt, 27, wounded when shot by Hedwig Village PD officer Arthur Zambada. Pruitt had tried to use a forged check or credit card at a Target store, and fled when security personnel tried to question her. Zambada was in the area and got out of his patrol car to help look for her. When he saw her getting into a car, he tried to stop her, but he claims she backed up and the car hit his leg. He shot as she fled, striking her leg. 12/3/99 - Alex Shepherd, wounded when shot by Harris County sheriff's deputy Joseph Richard Quinn, who had responded to an alarm from an apartment complex office. Quinn claims Shepherd pointed his hands at him as if he had a gun, so he shot him. 12/1/99 - Heather Christine Williams, w/f, 25, shot in the shoulder by Pct. 6 Cpl. Ray Sloan. Police say Williams was driving a stolen pickup, and Sloan chased her until she crashed into a fire hydrant. He got out of his car and was walking toward Williams, when he claims she accelerated toward him. Sloan fired several times at her, striking her twice. 11/13/99 - Martin Cortez Gonzales, h/m, 22, shot in the arm by Harris County Pct. 1 deputy constable Matthew Wayne McCord, who had stopped him for a traffic violation. McCord claims Gonzales tried to escape from his patrol car, they struggled, and McCord shot him. See also: 7/11/02 - McCord shoots and kills Melvin Alejandro Romero. 11/12/99 - Jaime Dominguez, 44, shot and killed by Houston PD officer Lawrence R. Smith, 46. Dominguez' wife had a restraining order against him, and police say Dominguez was stalking her where she worked. Smith confronted Dominguez in the business parking lot, where they exchanged gunfire. 11/8/99 - Alex Reyes, unarmed, shot in abdomen by Richmond PD Sgt. Dan Cox while being arrested for drug possession. 10/6/99 - Carlos Vicente Brand, wounded when shot by Harris County Organized Crime Unit officer Jeff Thomas during drug bust. Police claim that as Thomas started to arrest him, Brand reached toward the floor of the car he was in, and Thomas shot him. 9/19/99 - Paul Travis Gammill, w/m, 53, critically wounded when shot in the stomach by Texas DPS Lt. Phillip Goodwin during drug bust. Goodwin claims Gammill reached for his fanny pack, so he shot him. It is assumed that Gammill was unarmed since no weapon was reported to have been found. 21, unarmed, shot and killed by off-duty Houston PD officer Richard A. Williams, 28. Police say Arboleda refused to follow Williams' traffic instructions; Williams gave chase and when Arboleda was trapped in heavy traffic, Williams ordered him out of the car. When Arboleda allegedly swerved toward the officer, Williams shot him three (3) times through the car windshield. 02/12/99 - Shackett kills Carlos Mundo Baraona and Gustavo Alberto Mejia. 8/23/99 - Emmett Dwayne Doyle, b/m, 29, shot in the shoulder and face by his uncle, Houston PD Sgt. Johnnie McFarland, b/m, 42 (15-yr. vet, Emergency Communications Div. ), who claims he thought Doyle was wanted for a forgery or robbery. When he saw Doyle at a bus stop, McFarland tried to detain him, a struggle ensued, and he then claims his gun went off accidentally, striking Doyle. It was later determined that Doyle was not wanted for either offense. McFarland was acquitted when tried for improper conduct. 8/13/99 - Alvaro Henry Viveros, b/m, 27, unarmed, shot once in the neck and killed by Harris County Sheriff's deputy William Moran Gillespie after he allegedly tries to run over the officer in a drug sting. 8/3/99 - John Richard Mooney, w/m, 25, shot in the head, arm and hand and killed by off-duty Tomball police officer Daniel Arriaga, 32, after allegedly pointing a rifle at Arriaga from his car. Mooney had stopped his car in front of a hospital emergency room. Arriaga, claiming he "had a real bad feeling," said he asked Mooney if he could help, and Mooney reached for his rifle. Arriaga fired eight (8) times, killing Mooney; the rifle was never fired. Evidence indicates Arriaga could not have seen the rifle from his position. Arriaga was no-billed. 7/15/99 - Deandre Lamon Carter, shot and wounded by Houston PD narcotics officers Mark R. Prendergast and Jimmy D. Cargill during alleged drug bust. The officers claim that one of two men with Carter pulled a gun and started shooting at them, and they returned fire as they all ran, striking Carter. 6/19/99 - Clarence Lee Jackson, 34, wounded when shot in the chest by off-duty Houston ISD police officer Paul B. Smithers, who saw Jackson with a car radio in the parking lot of the apartment complex where he was working security. Jackson ran, began climbing over a fence, then jumped on Smithers, who claims his gun then accidentally went off, striking Jackson. He was not seriously wound. 6/18/99 - Ronald Jones, b/m, 26, shot in the chest and killed by HPD Sgt. Michael W. Glover after brief low-speed car chase. Jones was suspected of planning to rob the store where he was sitting in a pickup about 1:30 p.m. Police claim that he drove away when they tried to arrest him, and originally told the media that Jones was killed “during a shootout.” But a later police report fails to mention any shootout and states that when Jones was stopped by heavy traffic, Glover broke the driver’s window and “this officer’s gun then discharged, striking the driver.” Jones’ companion was charged with “robbery by threat.” Glover was no-billed. 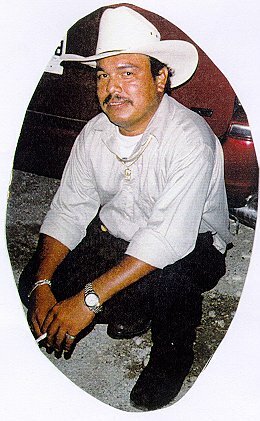 6/14/99 - Braulio Rios, h/m, unarmed, shot and killed by Harris County sheriff's deputy Michael Anthony Garcia, who claimed he tried to run him over in a stolen car. Garcia was no-billed. 08/13/01 - Straker kills McLoren Anthony Jones. 6/9/99 - Archie Doyle Smith, w/m, 30, critically injured when shot once in the leg and twice in the stomach by Houston PD officers J.A. Hernandez, Damian P. Garcia, W.M. Ladewig and R.G. Huston. Smith, upset by marital problems, was firing a gun inside his business. When officers arrived, they claim Smith began shooting at them, and they returned fire. 5/19/99  David Lee Johnson, b/m, 31, mentally ill, shot multiple times and killed by Houston PD officers Scott C. Laird, w/m, and Jonathan K. James (one of the officers is a field training officer; the other has been on the force about a year). The officers watched and failed to prevent Johnson from rummaging in his gym bag while ordering him to lie on the ground about a dozen times, according to a witness; then both shot him several times when he removed a gun. Laird and James were no-billed. 5/14/99 - Mexican government considers warning citizens to avoid traveling in Houston because of fatal shootings by police, citing the shooting deaths of Uvaldo Garcia Armendariz, Pedro Oregon and Eulogio Perez. Mexican officials say its government rarely if at all issues travel warnings for its citizens. 4/6/99 - Eulogio Perez Delgado, h/m, 31, mentally ill, shot once in the abdomen, twice in the back, and killed Houston PD officer S.E. Fisher as he walked down the street less than a block from his home. Police said he “fit the description” of a robbery suspect and fired on their car when they tried to stop him. Perez was not the robber, and forensics tests detected no gunpowder residue on his hands. Fisher was no-billed. Also see: 8/22/08 - Fisher wounds Miguel Benavidez. 4/6/99 - Alvin Ray Onezine, 19, unarmed, "accidentally" shot and killed by ATF agent Roland Ballesteros when a car in which he was a passenger was stopped and searched for drugs. Ballesteros was no-billed. 3/13/99 - Guadalupe Herrera, 41, shot in leg by Houston PD Sgt. Carl Reed as Herrera allegedly attacks his ex-wife with a knife. 3/11/99 - Unidentified 18-year-old male, shot at by HPD officer M. G. Ybanez, not in uniform or marked car, after the teen allegedly points gun at Ybanez. He is charged with deadly conduct. 3/3/99 - Steven Jeffrey Sasin, 41, shot in shoulder and abdomen and critically wounded when he allegedly lunged at Pasadena PD officer Kenneth Sloan Haynie with a knife after chasing his wife. 2/15/99 - Eveliodel Carmen Orellana, 41, shot in torso and legs and killed by off-duty Houston police officer Kevin R. Smith, 35. Police say they heard several gunshots, saw a car driven by Orellana and followed it to a fire gate. After ordering him out of the car, officers say Orellana fired at Smith, who then shot Orellana several times. Smith was no-billed. 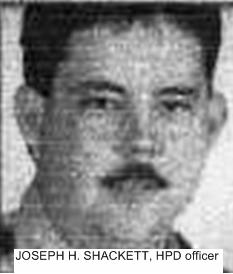 2/12/99 - Carlos Mundo Baraona, 35, h/m, and Gustavo Alberto Mejia, 31, h/m, shot and killed by off-duty Houston PD officer Joseph H. Shackett, 37, w/m, Northwest Division. Police claim the two tried to rob the store where Shackett was visiting with the owner. While engaged in a struggle with one of the men, Shackett manages to pull his gun and shoot them both dead. Neither Baraona nor Mejia ever fires a weapon. Shackett is no-billed. 8/24/99 – Shackett kills Colleen Kelly. 2/11/99 - Yuma Lazard, 19, shot in buttock by Houston police officer Pamela M. Slater, w/f. Police say Lazard shot at Slater during a foot chase after he burglarized some cars. 3/8/97 - Joe Henry Hardy is critically wounded by Slater. 2/3/99 - Preston Gerard Burnett, 20, shot in stomach, hand and shoulder and critically wounded by Houston narcotics officer Sammie L. Acker, b/m, 53, when he allegedly pointed a gun at another officer during drug buy. Other officers present were T.N. Castille, b/m, and K.E. Echols, w/m. 2/85 - Acker was accused by another officer of “impropriety” during an arrest. 9/94 - Acker was fired after shooting his wife in the arm. Acker appealed his firing and was later reinstated by the Civil Service Commission. 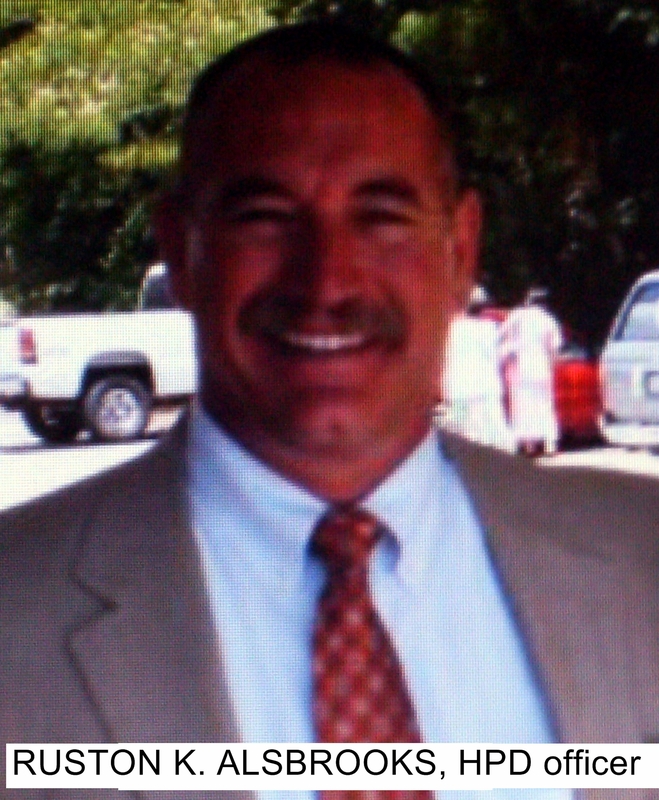 1/27/99 - Robert N. Guthrie, 55, unarmed, shot in the leg by HPD officer B. L. Hall, responding to a “loud noise” call. Hall said Guthrie “seemingly reach(ed) for something” during a struggle. 1/9/99 - Harold Eugene Evans Jr., 25, unarmed, shot and wounded by Harris County sheriff’s deputies Carl Mueller and S.D. Campbell when he struck Mueller with his car. 1/6/99 - Keithen Briscoe, 24, and Empra TaDar Moore, 23, shot and killed by Pasadena police officers Kenneth Ray Peloquin, 43; Burley Gene Powers, 38; Sgt. Stephen J. Pillion, 52; John Rod Arroyo Bangilan, 31; Charles Keith Hickman, 45; and Isaac Villareal, 30, during drug buy. Robert Moore, 19, wounded in shoulder. A total of 46 shots were fired; none of the suspects was armed. A witness originally said police fired on suspects with hands raised in surrender, but later recanted his story. (In 1989 Peloquin was fired after refusing to voluntarily take polygraph test relating to release of information to newspaper.) All the officers were no-billed. See also: 7/21/02 - Villareal kills Salome Pineda Garvajal. 1/1/99 - Alfred John Crabb, 48, shot once in the chest and killed by Pasadena police officer Jason Allan Shirley, who said Crabb lunged at him with a knife after a scuffle with his brother. Shirley was no-billed. w/m, 24, unarmed, killed when shot at 59 times by 7 HPD officers - Sgt. Antonio R. Guzman, 40; Ruston K. Alsbrooks, 38 (see photo below); Scott W. Wilkins, 34; Marvin J. Manuel, 26; Tien "Tony" N. Nguyen, 29; Leopoldo Rubio-Ronso, 27; and Tony Tomeo, 34 - after a low-speed car chase. The officers surrounded his pick-up truck, beat out the windows and beat him with their night sticks while still inside his vehicle. When Guzman tripped, his gun fired and all seven officers then opened fire; of the 59 bullets fired, 14 hit and killed Derek (while he was still in the cab of his truck) 3 in the back. The officers said they saw an alleged "shiney object" in the victims right hand, so they shot him. Unknown to the officers at the time they "got their story straight," Derek was left-handed. One eye witness said, "as Derek lay on the ground awaiting life-flight, one officer walked over, kicked him and spit on the ground." 05/19/97 - Harding kills Edward James Hayes. 10/23/98 - Charles Roberts Jr., 35, shot and killed by Baytown police, who say he pointed a shotgun at them when they responded to a domestic disturbance call. 10/20/98 - Three unidentified men are shot at by HPD officers when they back their truck in the officers’ direction. The three had robbed a hardware store. 10/14//98 - Gerardo Carrillo, unarmed, assaulted by HPD officers J. A. Santos, David Zaharas, and additional unknown officers, as he waits for a bus. Officers immediately point their guns at him, then he is beaten, charged with public intoxication. Charges were dismissed, and he was released after two days in jail. 10/3/98 - Stephanie P. Ryne, threatening suicide, shot once in the chest and killed by Houston police officer J. D. Hudson, 37, after allegedly pointing gun at him. 9/26/98 - Epolito Salas, 17, shot in the head and stomach and killed by Houston police officers J. W. Taylor and M. H. Ramsey, during alleged gunbattle after he robbed lounge patrons. 9/13/98 - Coy Mathis Ford, 29, shot to death by HPD officers David Curry, 46, and Janice Hutchinson, 37. Police say Ford was attempting to break into an apartment; when they tried to arrest him he broke free and fled, but later returned. Ford then attacked and stabbed Curry in the throat, and both officers began shooting at Ford, killing him. 8/31/98 - John Huffman, 30, after taking drug overdose in suicide attempt, shot in the wrist by deputy constable when he allegedly grabbed a knife and "lunged" at EMS worker. 8/21/98 - Edward Bradford, 30, shot in the head and killed during gunfight by HPD officer David J. Hibert, 32. Bradford was wanted in the beating death of his mother and had shot and wounded his brother-in-law. On 12/8/98 Hibert is given Meritorious Service Award by HPD. 8/20/98 - Santos Rijos, 35, shot in the chest and killed in his Houston home by DPS officer O. Garcia. Police say Rijos shot at Garcia during drug bust, and Garcia returned fire. 8/20/98 - Simon Damount Smith, 23, shot in hand and torso by HPD SWAT officer M. A. Lavespere. Police claim he pointed a pistol at them while they were executing a warrant. Smith was charged with attempted capital murder. 08/01/06 - Pisaro wounds Steven Ferrel. 12/20/91 - Pisaro critically injures Rosalind Bell. 7/29/98 - Jeffrey Thompson, 31, threatening suicide, shot in stomach by HPD officer C.R. Freeman when he approached officers with knives. He was later charged with aggravated assault. 7/22/98 - Paul Watson, 41, shot and killed with one shot by police sniper during SWAT standoff. Watson had fatally shot his ex-wife in her home. Police accuse media of interference and causing Watson to become enraged. h/m, 22, asleep in his brother's apartment, shot twelve (12) times in the back and killed after six Houston police officers, without search warrant, burst into the apartment on advice of informant. Despite officials' original claim, Oregon was unarmed and attempting to flee the assault when he was shot and killed. The officers - Lamont E. Tillery, 30; David R. Barrera, 28; David R. Perkins, 30; Pete A. Herrada, 28; James R. Willis, 28; and Sgt. Darrell H. Strouse, 34 - were fired; all were ultimately cleared of wrongdoing. 7/4/98 - Jose Luis Roman, 28, shot in hip by Houston PD officer Bobby S. Smith, 49, after auto collision. Smith claims Roman tried to take his pistol. Roman is charged with aggravated assault. 6/2/98 - Elsa Jimenez, 37, threatening suicide with a gun, is shot in stomach and critically wounded by HPD officer Robert E. Belknap Jr. after allegedly pointing her pistol at him. 5/18/98 - Tremayne Williams, 16, unarmed, shot in the chest, back and legs with shotgun blast by Houston police officer Ned Cherry III, 34. Williams says he had returned a gun to a relative and was walking home when Cherry shot him in the back. Cherry claims Williams pointed a gun at him. No gun was found. Cherry resigned in August 1998, and was no-billed by a grand jury. • Teen shot by HPD officer in 1998 sues city for $12 million / Suit alleges boy was unarmed, constitutional rights violated. 5/5/98 - Richard Young, 72, threatening suicide, shot in the chest and killed by Baytown police officer. SWAT officers had been outside Young's apartment for about 5 hours before rushing the apartment. When Young allegedly pointed his shotgun at them, two of the officers shot him. 4/28/98 - Clarence Wilbert Bilbrew, 25, shot in the back by HPD officer Lawrence R. Smith, 45, after he tried to rob a store. Bilbrew was armed with a gun and wearing a bullet-resistant vest. See also: 11/12/99 - Smith kills Jaime Dominguez. 4/23/98 - Korey Lavale Rawls, 24, killed when shot in the head, and Aldo Alaniz, 20, critically wounded when shot in the abdomen by Houston PD officer Oscar X. Pena, 36, during a drug raid. Police say that as they approached an apartment, Alaniz and Rawls came out and started shooting at one of the officers, and Pena shot them both. 4/18/98 - Unidentified man, shot and killed by Humble PD officer Tony Taylor. The unidentified man and two others attempted to rob a Home Depot store, holding several employees at gunpoint. Another employee managed to call 911, and SWAT teams responded. Taylor confronted the man at the back of the store, and ordered him to drop his gun. When he did not, Taylor shot him. The other two men escaped. 4/3/98 - Kevin Dewayne McDowell, 25, killed when shot in the chest by Houston PD officer R.L. Morris. McDowell was firing a weapon at a party, and refused to drop it when ordered to do so, running instead into his apartment. Morris followed, and claimed McDowell made a threatening move, so he shot him. 3/27/98 - Javier Beltran, wounded when shot in the chest by Harris County sheriff's deputy Edward Lopez, who had responded with other deputies to a domestic disturbance call. When Beltran opened the door of his apartment to deputies, Lopez claims he held an object that he mistook for a gun, so he shot him. 2/22/98 - Gabriel Tremayne Goffrey, 17 and mentally ill, called 911 for help. Harris County sheriff's deputies T.E. Kizer, Gary G. Parker, Dennis L. Barker, John L. Morrison, T.J. Carr and David W. Hennessy responded. Said to be acting in an irrational manner, the officers claim they "negotiated" with him about 30 minutes, then shot and critically wounded him in the stomach, leg and arm when he allegedly charged at them with two knives. 2 ½ years later, when it becomes known Goffrey plans to file suit, he is charged with aggravated assault for the 1998 incident. Suit is filed on 9/6/00, saying the Sheriffs Department failed to properly train its deputies in the use of violence against a mentally ill person. 2/5/98 - John Emerson Thomas, 49, unarmed and unresisting, beaten and pistol-whipped during arrest by four HPD officers, not in uniform, dressed in black. Thomas was an innocent victim of a sting operation. 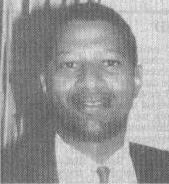 2/4/98 - Robert Demond Lavern, 21, wounded when shot in the leg by Houston PD narcotics officer Ralph Chaison, 44 (18-yr. vet). Chaison's partner, Vonda Higgins, 36 (9-yr. vet), was critically injured when shot in the neck by Lavern. 1/14/98 - Unidentified man wounded when shot in the arm by unidentified Houston PD undercover narcotics officer during drug bust. 1/12/98 - Unidentified man critically wounded when shot by Houston PD officer Carl M. Rodriguez, 31, a 6-year veteran and field training officer. Rodriguez had stopped to investigate two parked vehicles and one fled; he gave chase to the pickup and claimed he was shot at several times during the chase. When the pickup crashed, Rodriguez placed the driver in custody, but shot the passenger because he "refused to obey" his orders. 1998 - Paul Uwandu shot by Houston PD officer Jimmy H. Higgins when involved with several other police cars in a high-speed chase. Higgins fired six shots at Uwandu, hitting him in the arms and leg. Also see: 2/1/00 - Higgins shoots Jeffery Lynn Pruitt. 11/29/97 - Oliver Rodriguez Jr.
h/m, 35, shot once in the chest and killed by HPD officer A. Munoz. Rodriguez was cutting ribs at a family barbeque when Munoz responded to a disturbance call. Munoz claims Rodriguez "lunged at (him) with the knife." 10/30/97 - Rose Marie Treadway, 43, mentally ill, shot at least two times and killed by HPD officers John R. Johnston, 28, and Matthew Lem, 34. Police say Treadway stole a police car and crashed it, then charged officers with a knife. 9/17/97 - Darrell Britton, 44, shot in the face and neck and killed by off-duty HPD officer Christopher Allen, 32, at a park. Britton was trying to get his nephew to go home and said he was going to knock his head off with a board he had picked up. (Britton’s family says they normally interacted in a very verbalized and vocal way.) Allen, also in the park, claims he identified himself as a police officer and told Britton to calm down. He said Britton “lunged at (him) and grabbed his arm”; Allen then pulled his gun and shot him twice. Allen is no-billed, and a wrongful death lawsuit is later settled for $25,000. 9/7/97 - Uvaldo Garcia Armendariz, 18, shot in the side and killed by HPD officer Brian T. Mitchell, 24, on the police force just 4 months. Mitchell and his partner had responded to a domestic disturbance call and ordered Armendariz to come to their car. Armendariz ran to his yard, Mitchell pulled his gun out and chased him. Police claim Armendariz picked up a folding chair and "began advancing," and Mitchell then shot him. Civilian witnesses dispute the police version, saying Armendariz had nothing in his hands and the chair was about 20 feet away when he was shot. Also, even District Attorney, Johnny Holmes admits the angle of the gunshot wound is inconsistent with the officer's story. Mitchell was no-billed. 6/30/97 - Reginald Dorsey, 24, shot in the side and killed by Houston undercover narcotics officer Gerald M. Goines, 32. Goines was chasing Dorsey in an unmarked car, and shots were fired between them. After calling for backup, Goines was shot and crashed his car. Dorsey, also shot, opened the door and fell out of his car. Although police do not disclose why Dorsey was being chased, it is later learned that Goines was chasing Dorsey because Dorsey did not yield when Goines entered the freeway. A three year-old child in Dorsey's car was injured by flying glass. Goines recovered from his injury. 6/25/97 - Juan Carlos Espinosa, 16, shot in the head and killed by Baytown police officer Ernest Yznaga, 29. Espinosa had hidden under a bed in his attic after "stealing" his parents' van; Yznaga kicked in the door, crouched down with his gun drawn, lifted the edge of the bed, and "his weapon fired," killing the boy. Yznaga was no-billed. 5/19/97 - Edward James Hayes, 20, shot and killed by HPD officer T. W. Harding, 28. Police said Hayes was stealing a rental truck at a motel. A witness said he heard officers shout "Police. Freeze. Put your hands in the air. Stop." and then heard shots. Harding claims Hayes "ran at him and tried to stab him with a screwdriver." Harding had joined HPD 3 months earlier. Also, see: 10/25/98 - Harding and other officers kill Derek Kaeseman. 4/22/97 - Marcus Quentin Williams, 26, shot and killed by several HPD officers who say they had responded to residents who complained "a man was wandering their street with a gun." Police claim Williams refused to take his hands from his pockets, so they sprayed him with pepper spray. He supposedly then pulled a gun from his pocket and aimed it at Sgt. B. P. Evans, and several officers then shot Williams. w/m, 22, unarmed, shot once in the abdomen and killed by Hedwig Village police officer Scott Ashmore, after being stopped on suspicion of intoxication. Arledge ran and hid in a backyard tool shed; Ashmore shot when he "saw the glint of something shiny at Arledge's waist." No gun or weapon was reported found. Ashmore was no-billed. 3/23/97 - Richard James Davis, 46, shot three (3) times and killed by off-duty HPD officer Derrick Iozzio, 40. Davis and Iozzio were neighbors who had argued for years. Iozzio claimed he was startled when "something jumped up at him, and he fired his gun five (5) times in self-defense from his patio." Davis was shot while standing in his own back yard, separated by a 6-ft. fence from Iozzio's patio. Iozzio is convicted of murder and given ten (10) years probation. 3/16/97 - Off-duty HPD officer K. J. Caston fires 3 shots at 2 people in a pickup truck. Caston was suspicious of their presence outside a trailer home he owned. 3/8/97 - Joe Henry Hardy, 26, shot in upper torso and critically injured by Houston PD officer Pamela Slater, responding to a disturbance call. Slater said she fired when Hardy pulled a pistol from his back pocket. 2/8/97 - Raymond Fredrick Gross, 41, unarmed, shot in forearm by HPD officer Patrick Jost Jr., 28, after car chase. Gross and a companion were wanted for theft. 1/26/97 - Van Keith McKenzie, 19, wounded when shot in the leg and arm by Houston PD undercover narcotics officer R.G. Chaison, who claimed McKenzie tried to rob him of $20 during a drug buy. 1/23/97 - Felix Garcia, h/m, 30, seriously wounded when shot in the chest by Houston PD officer Primitivo Lopez, who claimed Garcia was intoxicated and pointed a gun at him. 1/11/97 - Gene Allen Blackwell, wounded when shot in the stomach by Harris County sheriff’s deputies Zachary Long and Troy Perry. 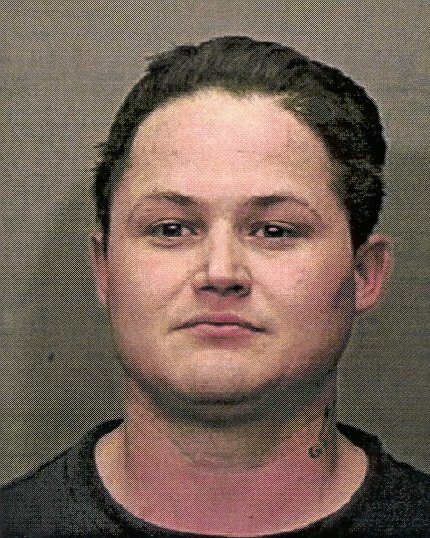 2/1/04 -Zachary Long kills Rodolfo Garcia Gonzalez. 1/10/97 - Unknown man, shot and killed by off-duty Harris County sheriff's deputy. Police say he walked into a credit union carrying a gun. When he refused to stop, the deputy shot him. 12/14/96 - Lawrence Sherman, 45, unarmed and mentally ill, sleeping beside a freeway service road, is prodded awake, shot once in the chest and killed by Harris County deputy constable Matt Davidson, who claimed Sherman attacked him with a nail-studded board. 11/18/96 - Tammy Galloway, 23, unarmed, shot in the wrist and hand after the car in which she was a passenger was chased by two sheriff’s deputies and two HPD officers. (Her husband, the driver, was wanted for parole violation.) The two deputies and one officer fired into the car when she began to lower one hand to release her seat belt. She was then dragged out of the car by her hair, and an officer purposely ground her injured hand with his boot. She was not charged with any crime. 11/9/96 - Warren L. Williams, 27, shot and killed by HPD officer Frederick C. Young, 28, off duty and not in uniform. Young said Williams and another man tried to carjack him at a gas station, and they exchanged gunfire. Williams was shot several times; Young was shot in the hand. On 9/21/91, Young used his flashlight to beat on the hood of a car blocking other cars outside a club. He was fined $50 and paid $125 restitution to the car's owner. 11/8/96 - Alonzo Perez, 37, shot twice and killed by HPD officer Craig D. Bigger. Police said the man was carrying a television set, they ordered him to drop it, and then ordered him to remove his hands from his pockets. Bigger claimed they struggled as he tried to search the man, who fell down and got up with his hands still in his pockets. Bigger "fear(ed) the man was reaching for a weapon," and shot him. A small pocketknife was found in Perez' rear pocket. 10/23/96 - Mario Heriberto Cuartas, 37, shot to death when Harris County sheriff's deputies tried to execute a narcotics search warrant. Police said Cuartas fired on them at least twice, and several officers shot him. 9/2/96 - Houston PD Sgt. Linda A. Barrera, 42, unarmed, shot twice in the back and killed by Houston PD officer Roger W. Bewley, 36, during argument. The two, who were romantic partners, lived together. Bewley is sentenced to 20 years in prison after plea bargain. 22, shot in the chest by HPD officer C.L. Thomas, who claimed Cook came at him with upraised arms and they began struggling for Thomas' gun. Thomas was searching an abandoned house. 6/8/96 - Jaciel Gonzalez, 15, handcuffed behind his back in the back seat of an HPD patrol car driven by officer Hector Garcia, dies from gunshot to the back of his head. Garcia claimed Gonzalez had a hidden gun and committed suicide. Gonzalez was accused of stealing a car and a bicycle. Conflicting accounts first say that Garcia was driving with Gonzalez in the back seat, and pulled the car over when he heard the gunshot; then it is said Garcia was talking to witnesses when Gonzalez was killed . Evidence is destroyed by police within one month of his death. The medical examiner ruled his death a suicide, and Garcia was no-billed by a grand jury. 6/4/96 - William C. Horhn, 38 and mentally ill, critically injured when shot in the abdomen by Houston PD officer Stephen M. Kwiatkowski, a 15-yr. veteran, when several police officers raided a motel room looking for drug suspects. Police claim Horhn pointed a pistol at the officers, and Kwiatkowski shot him in the abdomen. A small amount of cocaine and marijuana were found. See also: 1/9/96 - Kwiatkowski shoots Sammy Ray Moy in another drug raid. 3/15/96 - Steven Troyce Preston, 30, shot in the chest and killed by Harris County sheriff's deputy Warren Kelly. Preston's wife had gone to a neighbor's apartment after an argument with him; Preston allegedly pointed a revolver at that apartment. Police claim Preston was walking around the complex talking on a cordless phone and carrying a revolver, and when Kelly told him to drop the gun, "he kept walking toward the deputy while holding his gun," and Kelly shot him. 3/11/96 - Jose Ferman, 20, shot in the head and killed by HPD officer E.H. Camp, who was off duty working security. Camp said three men were breaking into a car and "tried to drive over (him) as he fired at them." The other two men were charged with attempted capital murder of an officer. 02/21/96 - Moreira was accused of beating Jabar Watson during a traffic stop. 2/26/96 - David Rodriguez Reyes, 23, who had escaped from the City Jail after being arrested for assault on an officer, shot to death by two Houston undercover officers. Police claim he fired at an officer, and TWO others shot "at least eight (8) times" at him. 2/17/96 - Juan Carlos Garcia, 19, shot twice and killed by Harris County sheriff's deputy Gary Clayton, who was off-duty working security at Fiesta Beverage Mart. Clayton told the clerk not to sell Garcia any alcohol; Garcia then threw a bottle of mineral water into a cooler and "stormed out." Clayton told Garcia to wait, claims Garcia instead backed his car towards him, so he shot him. 1/9/96 - Sammy Ray Moy, wounded when shot in the hand by Houston PD officer Stephen M. Kwiatkowski when officers made a drug raid in Moy's motel room. See also: 6/4/96 - Kwiatkowski shoots William C. Horhn in another motel drug raid. 12/24/95 - Clifford Herman Landry, 20, shot and killed by Houston police officers J.P. Miller and N.W. Kiesewetter, who responded to a silent alarm at a convenience store. Police claim Landry "went for his gun" and they shot him. 9/24/95 - Gary Glover, 20, shot "a bunch of times" by HPD SWAT officers M.L. Wall, J.F. Murphy and R.G. Parker. Police found Glover hiding in the attic of a home they said he was burglarizing, and claim that when they ordered him out, he pointed a pistol at them. w/m, 29, mentally ill, shot once in the abdomen and killed by HPD SWAT officer Steven C. Riegle. Morgan's parents had called 911 for help to get him to hospital. Instead, police forced them to leave their residence, refusing to let them or friends talk to Morgan. Police surrounded their home as Morgan moved in and out holding an ax. After three hours, Morgan runs down the driveway with the ax, and was shot. Riegle was no-billed. w/m, 17, unarmed, shot twice in the back at close range and killed by Bellaire police officer Michael Leal, 30, while pinned face down to the floor by officer Carle Upshaw's foot on his back. Allen, high on drugs, had smashed through the patio door of a Bellaire home, whose owner called police. Police say Allen disobeyed them, had reached for something in his pocket and was attempting to roll over, causing Leal to "fear for his own life." But marks on Allen's hands indicate he had been handcuffed. Both officers were no-billed. 6/21/95 - Oscar Alexander Arias, 23, wounded when shot in the shoulder by Houston PD officer James J. Kravetz, 36 (Southeast Narcotics Div.) As Kravetz was buying drugs from Arias a marked patrol car approached. Kravetz claims he thought Arias had a weapon as he reached toward his waistband, so he drew his gun. He says Arias grabbed his (Kravetz') gun, a struggle ensued, and the gun discharged, striking Arias. 6/17/95 - Lloyd Bundick, 47, killed when shot 3 times by Nassau Bay PD officer Scott Smith (4-yr. vet). Responding to a robbery call at a convenience store, Smith found Bundick hiding behind a building next door. He claims Bundick pointed a pistol at him, so Smith shot him. 5/31/95 - Roger Roy Boutte, 43, killed when shot 3 times by Houston PD officer Steve Frank, who responded to a call about an armed man. Boutte had a pistol in his pocket, and Frank told him to raise his hands, which he did. Boutte's mother then walked to him and spoke to him. As Boutte answered, Frank claims he grabbed the pistol and turned toward him, so he shot him. 4/28/95 - Unidentified 18-year-old man seriously wounded when shot in the neck by unidentified Harris County sheriff's deputy. Officers were arresting him for allegedly assaulting a deputy earlier in the week, when they claim he grabbed the officer's gun. A struggle ensued, and the gun discharged. 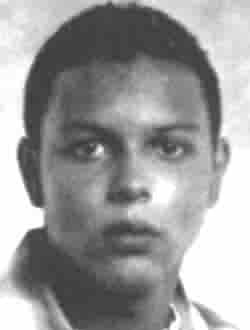 4/26/95 - Roland Torres Jr., 19, threatening suicide, wounded when shot in the neck, arm and torso by unidentified SWAT officers. Officers went to Torres' home and found him with a pistol. Officers claim he rushed toward them, waving the gun, so they shot him. 4/24/95 - Sergio Garcia DeLeon, 33, wounded when shot in the shoulder by unidentified Harris County sheriff's deputy working off duty as a security guard. Two deputies were arresting DeLeon for shoplifting when one of the deputies dropped his baton. They claim DeLeon picked it up and hit a deputy, who then ordered DeLeon to drop the baton. Claiming he did not obey, the deputy pulled his gun and shot DeLeon in the chest. But the baton deflected the bullet and it went in his shoulder. 4/2/95 - Jose Salaz, h/m, 19, wounded when shot in the leg and neck by unidentified Houston PD officer. Salaz and a companion had kidnapped a bartender for $5,000 ransom. When the ransom was paid, officers moved to arrest the two. Gunshots were exchanged, and Salaz and two officers were shot. None was seriously injured. 4/1/95 - Unidentified man wounded when shot in the abdomen by unidentified Houston PD officer, who was responding to a burglary. The officer confronted the man, telling him to get on the ground. The man allegedly refused and a struggle ensued. The officer claims his gun discharged during the struggle, hitting the suspected burglar. 3/31/95 - Dacey Carreira, 30, shot to death by unidentified Harris County Sheriff's deputy assigned to the Cypresswood Station. Carreira had burglarized a house, and the deputy arrived as he was leaving. Carreira allegedly drove in reverse toward the deputy, who fired several shots into his car, killing him. 04/17/07 - Boling tasers father holding newborn. 08/07/94 - Boling kills Morse Wayne Holland. 1/11/95 - Erma Yvonne Taylor, 34, mentally ill, shot three (3) times and killed by two HPD officers. Police say she had an 8-inch butcher knife and when they ordered her to drop the knife, she charged at them. 12/27/94  Duc Loi Thanh Truong, 19, mentally ill, shot once and killed by Port Arthur police officer after allegedly threatening restaurant patrons with a knife and throwing hot cooking oil at officers. 11/8/94  Milton R. Frazier Jr., 41, mentally ill, shot once in the chest and killed by HPD officer who said Frazier tried to get his gun. 4/25/94 - Michael Lee Metheny, 40, mentally ill and threatening suicide, wounded when shot in the right forearm by Houston PD officer who said Metheny aimed a gun at police officers. 2/26/94 - Troy Nelson - 67, shot in the head, thigh and side and killed by Houston PD officers Jeffrey Allard, 37 (11-yr. veteran), and Mark Hardy, 33 (9-yr. veteran). Police claim Nelson had called 911, saying he would kill anyone who tried to stop him (from what was not stated). His daughter-in-law said, "They could have avoided killing him...If they had just thought before they opened fire on him." Nelson had a pellet rifle. 2/8/94 - Daphney Simone Fox, 30, shot once in the head and killed by Houston PD officer Darin Davis, 31 (12-year veteran), who fired at a burglary suspect's car, killing Fox, a passenger. 2/1/94 - Marvin Eugene Tucker, 23, shot in the chest and groin and killed by Pasadena PD officer Steve Fowler, 31 (3-yr. veteran). Police claim Tucker was shot when he picked up a gun dropped by another man at a party, and pointed it at Fowler. 11/15/93 - Freddy Perry, 45, mentally ill, shot at least twice and killed by HPD officer Mike Corley, who said Perry fired a gun at his brother. 6/25/93 Jose Luis Montoya, 38, mentally ill and threatening suicide with a knife, shot once in the chest and killed by Houston police officer Rex M. Gigout, 31. Police said Gigout and other officers were "trying to reason" with Montoya, who "lunged" at one of the officers, and Gigout then shot him. Gigout was no-billed by a grand jury. See also: 12/11/92 - Gigout kills Johnny James. 4/23/93 - Robert Xavier Espinosa, 39, h/m, shot at least 12 times by Houston police officer Gerard J. Moran, 27, w/m (7-year employee), after low-speed chase through downtown Houston during the International Festival. Espinosa was suspected of driving drunk when the chase ensued. Although HPD policy prohibits officers shooting either from or at a moving car, Espinosa’s truck had at least 30 bullet holes in it. When Espinosa stopped and was ordered out of his truck, Moran claims he reached to his right as if trying to retrieve a gun. Moran emptied his pistol at Espinosa, reloaded and continued to fire. No gun was ever found. Moran was fired for not following department policy, but Moran said, “There is absolutely nothing I could have done different.” He was no-billed by the grand jury. 2/7/93 - Unidentified 15-yr. old boy, wounded when shot in the shoulder by Houston PD officer Kevin Gallier (a rookie on the force less than a year). Police had stopped several juveniles in a stolen van. Gallier claims the boy "appeared to reach for something under his seat," so he shot him. 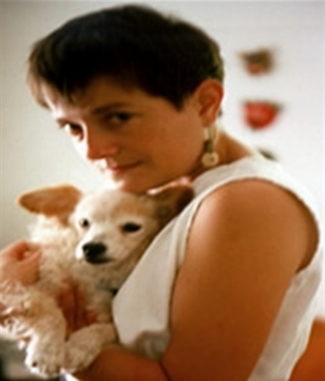 12/20/91 - Pisaro shoots Rosalind Joyce Bell, paralyzing her. The last law officer to face a murder indictment stemming from an on-duty shooting was former Harris County sheriff's Deputy Joseph Kent McGowen. He was accused of killing Susan White in her northwest Harris County home on 08/25/92. An initial conviction was overturned, but McGowen was convicted again and sentenced to 20 years in prison.  04/03/02 - "Rogue cop" gets 20 years in killing / Ex-deputy found guilty second time. 1992 - Prendergast shoots unidentified person during traffic stop. 07/10/82 - Still on rookie probation, Prendergast kills Donald Wayne Williams. 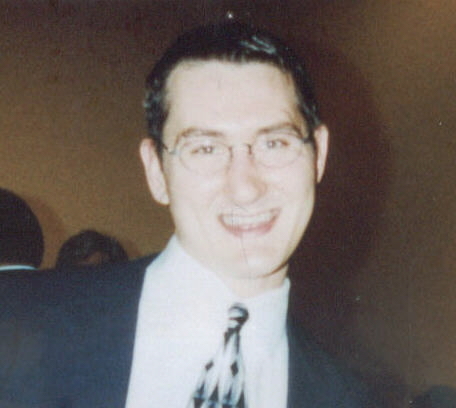 01/01/93 – Pisaro shoots and kills Amos Perry, age 15. > 11/15/89 - Byron Gillum, 24, shot six (6) times in the back, abdomen and arm and killed by HPD officer Scott Tschirhart, w/m, 27, who had stopped him for speeding. Tschirhart claims he shot Gillum, a security guard on his way home after work, when he reached for a gun in his car. Three witnesses say Tschirhart shot Gillum three (3) times then, as he tried to crawl away, shot him three (3) more times at point-blank range, calling it "cold-blooded murder" and saying, "What we saw and what was in the paper were two different things." Tschirhart is no-billed. 11/02/83 - Tschirhart kills Phillip W. Franklin. 50, shot four (4) times and killed while driving to work at 5:30 a.m. She was chased and harassed for 13 miles by drunk off-duty Houston police officers Alex Gonzales, 25, Robert C. Gonzales Jr., 28, and Alexander Romero, 25. When Delaney stops her car behind a road repair crew to get help, Alex Gonzales gets a gun from the trunk of his car. As the three officers approach Delaney, she shoots Alex Gonzales, who then kills her with four (4)shots. All officers are fired; two are no-billed. Alex Gonzales is charged with murder, convicted of manslaughter and given two years probation. Although Judge Ted Poe orders an additional six-month jail term, Gonzales ultimately serves only eleven days in jail. 1989 - District attorney's records show a shooting leading to the injury of a civilian that involved Prendergast. 10/16/86 - Roy Lynn Rhodes, 27, shot four (4) times and killed by Houston narcotics officers Ron Hulett and L. D. Scott. His wife, Alice Marie Rhodes, 23, was then shot in the head and killed by officers Jimmy D. Cargill and R.L. Foxworth. Police claim Rhodes was a known narcotics dealer and gave chase when they spotted him and his wife in a stolen pickup. After crashing the truck, Rhodes and his wife ran from police; he allegedly loaded his Uzi gun as he ran, and pointed it at Hulett and Scott, who shot him. Police claim Mrs. Rhodes then grabbed the gun, and Cargill and Foxworth shot her. All officers are no-billed. 03/15/85 - Cargill and Foxworth kill Sylvester Nava. 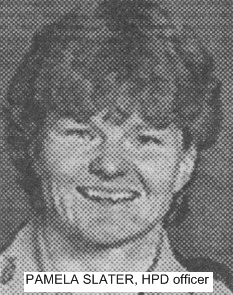 10/16/86 – Foxworth and Cargill kill Alice Rhodes. 11/02/83 - Tschirhart killed Phillip W. Franklin. 09/19/84 - Prendergast shoots Steven W. Lewis. 07/12/85 – Tschirhart kills Bennie Lee Young. 1983 - Riding his bicycle after midnight, Prendergast shoots a motorist who offers to sell him pot. 07/10/82 - Still on rookie probation, Prendergast kills Donald Wayne Williams, 23, who he claims tried to rob him and another off-duty rookie officer as they left the parking lot of a restaurant.